Elder Sarah Branch was born and raised in Washington, D.C. to William and Barbara Branch. She was educated in the D.C. Public Schools System, graduating from Eastern High School. Minister Sarah received her Undergraduate Associates Degree in Mortuary Science from the University of District of Columbia in 1991. 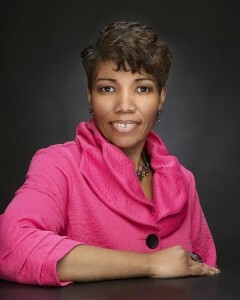 With a great passion for the needs of those who are grieving, she currently maintains her Funeral Directors License in D.C. With an appreciation for education, she received her Bachelor’s and Master’s of Arts Degree in Biblical Studies from the Maple Springs Baptist Bible College and Seminary in Capitol Heights, Maryland. After much prayer and no longer able to run any further, Elder Sarah decided to accept her calling in the Ministry. Licensed to preach the Gospel in June 2001 at Third Baptist Church, Washington, D.C. under the pastorate of Rev. Dr. Stanley Byrd, Sr. Elder Sarah has ministered throughout the USA and Canada. With a deep and profound appreciation of God for who He is and what He is capable of doing, in 2004, God birthed the ministry “Destined For Victory”, designed to empower those to move in victory to their God-given destiny. God enlarged her territory to become the author of the book “A Dose of Encouragement” which was released in stores December 31, 2011. She stands in much anticipation as God continues to empower her for His glory, as He continues to equip her for the journey to where He has a higher calling for her life. Elder Sarah currently serves as an Associate Minister and on the Elders Council at Shechem Covenant Outreach Ministries under the pastorate of Elder Tommy Terrell III. She is newly appointed to the Maple Springs Baptist Bible College & Seminary Board of Trustees. Elder Sarah enjoys her time with her three children, Jasmine, Donte’ and Ebony. Her goal in ministry is to share the love of God while making a positive mark that can never be erased to the glory of God. You can find the heart of her ministry in serving and loving God’s people. She treasures the anointing on her life and what God has called her to do.